There aren’t many couples we know who would give up full control of planning and design to be completely surprised on their wedding day but, for Katherine and Francis, that decision paid off big time! They provided Le Coeur Bohème with ideas of what they liked, and then let the dynamic planning team take it from there, transforming La Maison Bohème into a rustic boho dreamland. From the cozy ceremony nestled beneath large trees to the grazing table overflowing with delicious eats made by Le Chef Bohème, this wedding had a laid-back feel that focused on community and sharing. Hellébore Créations Florales also did a phenomenal job creating floral arrangements in autumnal tones that enhanced the folksy vibe while blending seamlessly with the natural landscape. All in all, this wedding was truly something special, and photographer Marion Brunel captured every moment brilliantly! The most memorable part of the day was definitely the ceremony. As a bride, walking down the aisle with my father was one of the only things I intended to keep traditional. The emotion started there — with the SYML song, ‘’Where’s my love’’ in the background — walking to my future husband while discovering this amazing decor, in this tiny forest beside the house and our intimate 35 guests. Saying our vows under the trees was my favorite part because, for a moment, I felt like we were alone, only the two of us. Working with Marion Brunel was really nice. Marion is really sweet and she intended to make us comfortable with the shooting process as we are a little bit shy in front of a camera. We decided with Marion that the wedding souvenir would be more like a ”lifestyle” photoshoot because we appreciate that more natural vibe and style. She also captured every detail of the day so we can keep a good memory of everything and every moment. I wanted a simple boho wedding in nature with a lot of green/woods and an autumnal vibe. When we first talk to Le Coeur Bohème, I sent them my wedding board and that was exactly the style they planned to do. We decided to give ”carte blanche” to Le Coeur Bohème and to keep everything a surprise! So, we gave them ideas of the look and feel we liked and they imagined the rest. Congratulations to Katherine and Francis, and a special thanks to Le Coeur Bohème for sharing this folksy La Maison Bohème wedding with Junebug! 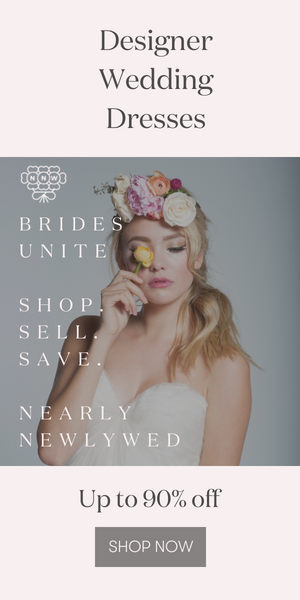 Looking for ways to make your wedding community-focused? This super cool summer camp wedding is all about community!